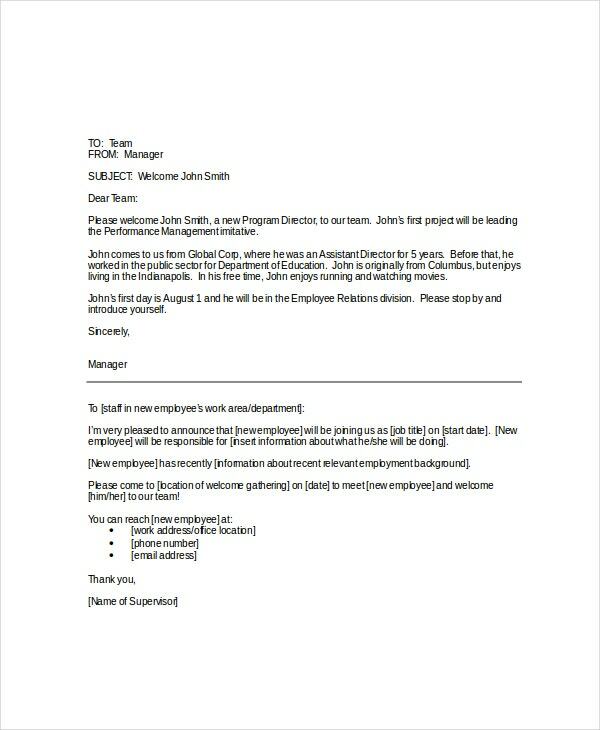 Every new employee should be sent a Email Invitation Templates which should include a sincere and enthusiastic statement of welcome. It can include other details about their new position, start date and time, a map of the work location and work structure etc. Value-adding email responses to customer queries can efficiently answer more questions than meetings or phone calls. 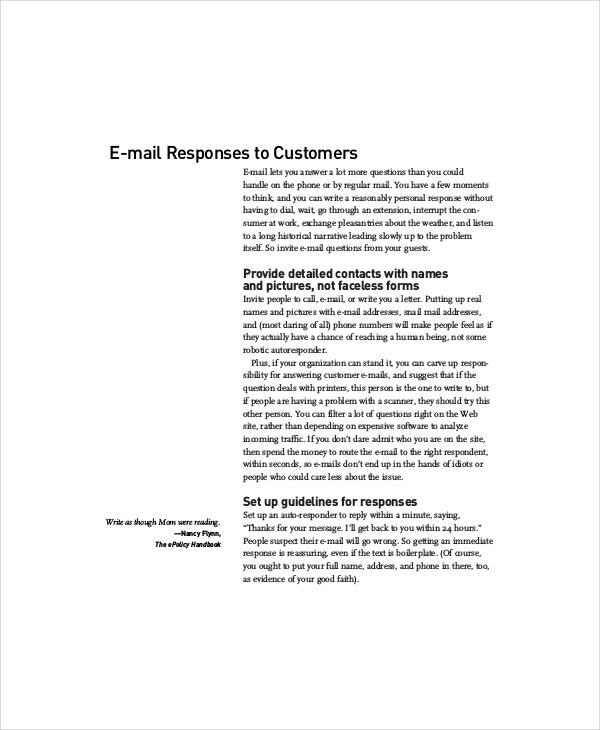 A welcome email template for new customer will help with the first step to encourage email queries. 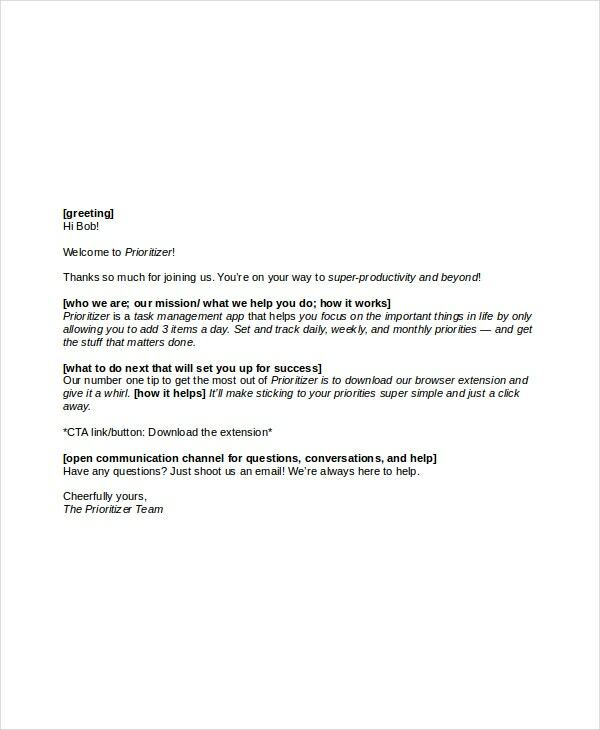 When welcoming a new member into a project, an informal welcome email sent to the rest of the team introducing this new member will show the supervisor’s level of care. You can also see Email Memo Templates. > How Effective are Welcome Emails? Many surveys and studies have proved that welcome emails are indispensable for the marketer. According to the welcome email report linked to the above, these emails enjoy high open-and-click rates, having as much as four times the open rates and five times the click rates of other bulk promotions through email. 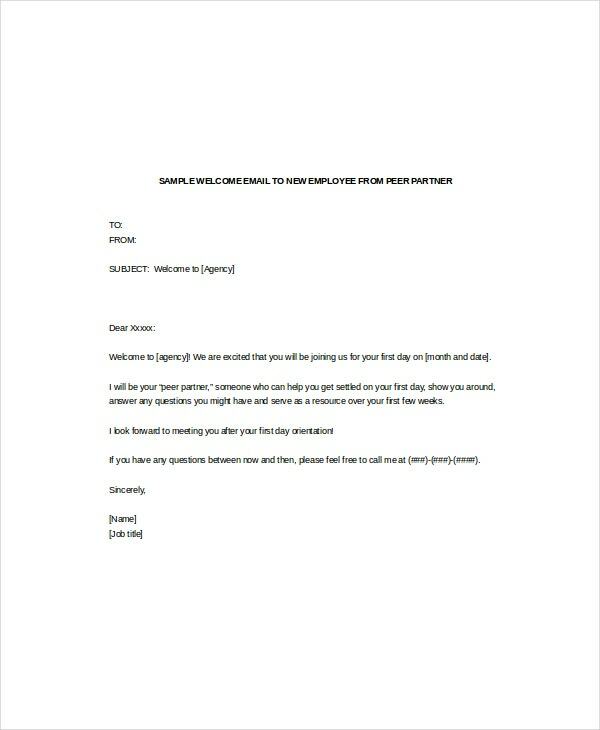 You can also see Email Stationery Templates & Designs. This email also helps businesses to acquire that crucial feeling of trust from customers, that becomes the foundation of a strong relationship. Research has shown that welcome messages not only boost engagement but predict subscriber value and behavior in the long term. It affects ROI and therefore also affects budgeting. It is important to have a subject line with a branded “from” and the word “Welcome” in a welcome email. The contents of the mail will generally differ depending on who the recipient is. It may contain an invitation to a product or service, a free sample, a greeting for personal outreach, a newsletter or other info-product etc. 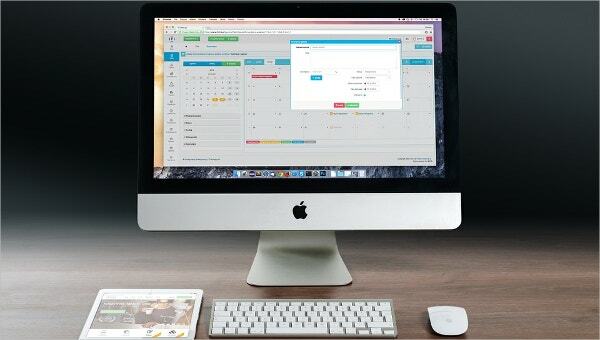 Whether sending bulk emails or real-time responses, you can include offers to manage the expectations of subscribers. If it is the first in a series of emails for subscribers, the customer’s trust should be gained by including a means to stop the emails. 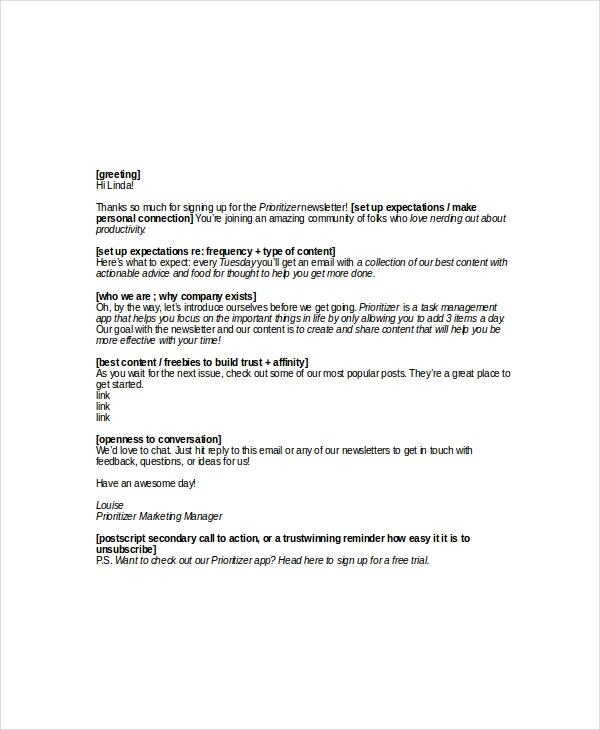 You can also see Corporate Email Signature Templates. Whether in the form of personal outreach to employees and co-workers or as a tool to engage subscribers, a welcome email can be invaluable to a business. An HTML welcome email template will help in writing the perfect email with which to take the first step towards a long-term partnership.